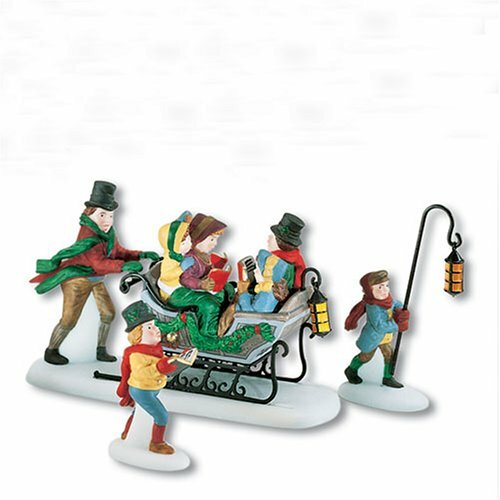 "Caroling With The Cratchit Family" is a porcelain accessory set that features Mr. Cratchit and Mrs.Cratchit taking their children caroling. The hand-painted details include a sleigh festooned with holiday greenery and one son carrying a lantern to lead the way. The Dickens Village Series is designed and manufactured exclusively by Department 56.